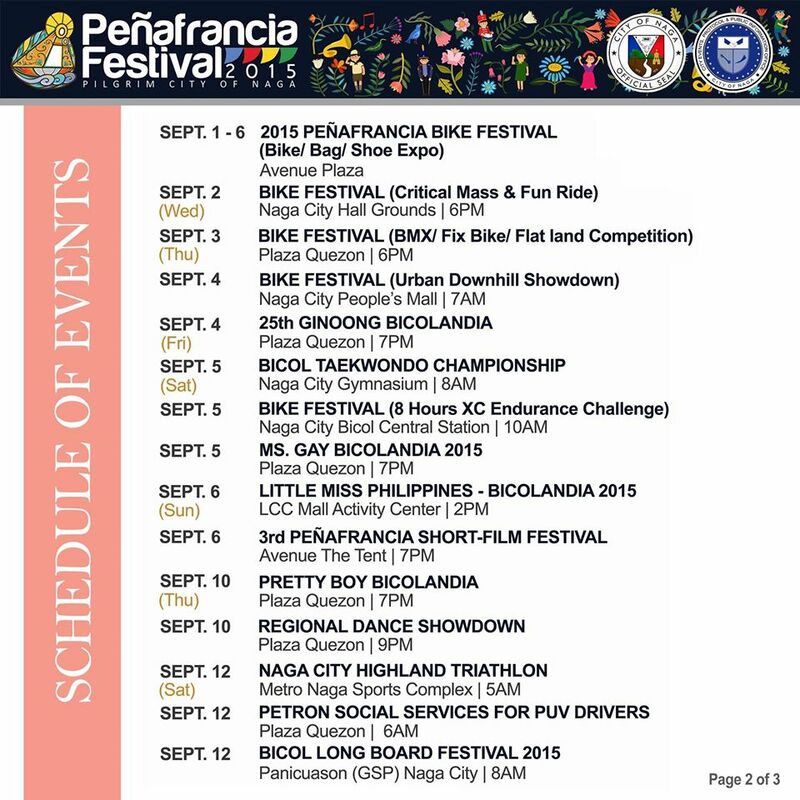 Peñafrancia Festival of Naga City is one of the Philippines' largest religious celebrations honoring Our Lady of Peñafrancia, Bicol region's patroness. 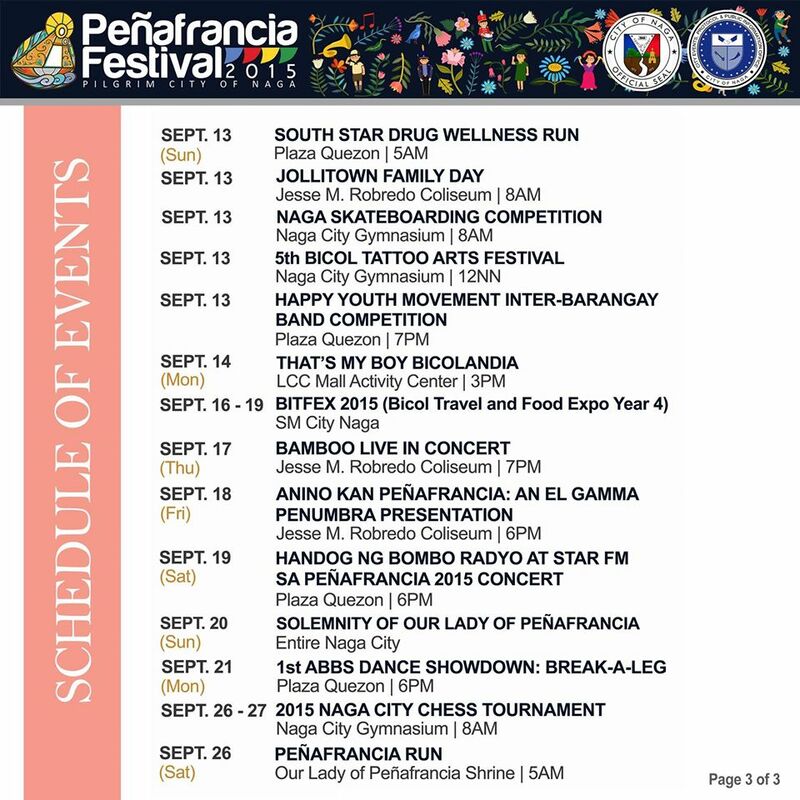 The festival begins on the second Friday of September when the image of the Virgin of Peñafrancia is carried by hundreds of male devotees from its shrine to the Metropolitan Cathedral of Naga City. This year's highlights of the celebration are scheduled on: September 11 (Friday),Traslacion Procession; September 19 (Saturday), Fluvial Procession; and September 20 (Sunday), Feast Day of Our Lady of Peñafrancia. 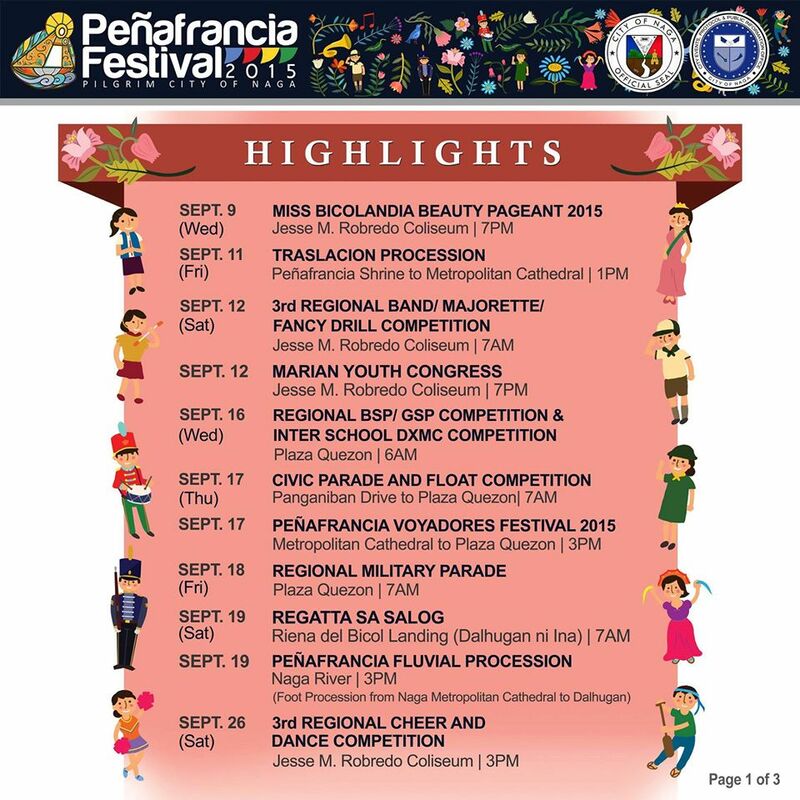 Plan your trip to Bicolandia now and witness one of the country's largest religious festivals! This is so much information's like this blogs.